NOTE: If you want to increase available disk space by adding a new EBS volume to your instance, refer to this guide instead. The Bitnami Launchpad for AWS Cloud only supports server configuration during the initial server build process. Subsequent changes to the server configuration will need to be performed using the AWS Cloud Console. The procedure consists of creating a new server using the same disk as the server to be modified, and then deleting the old one following the steps below. 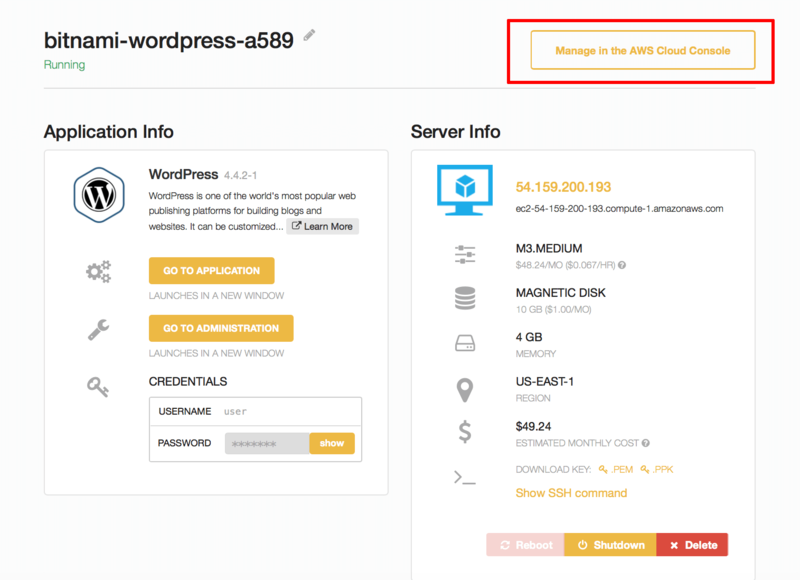 On the server detail page, click the “Manage in the AWS Cloud Console” button. You will be redirected to the AWS Cloud Console. Log in if needed. In the left navigation bar, select the “Instances -> Instances” menu item. From the “Actions” drop-down menu, select the “Instance State -> Stop” menu item. 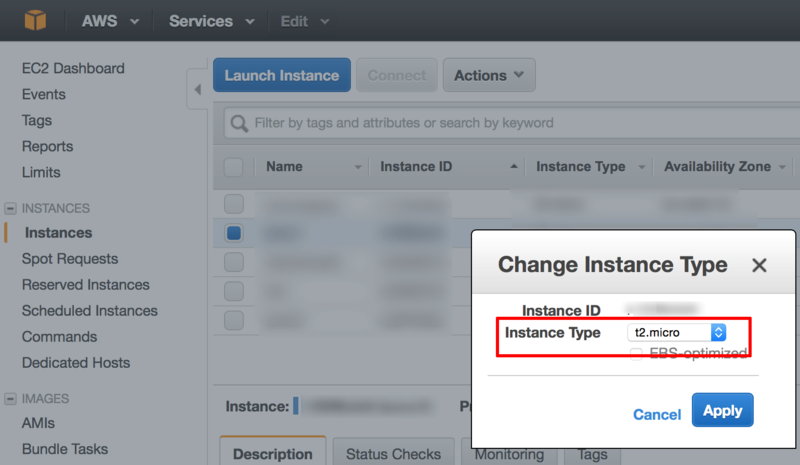 Once the instance has stopped, select the “Instance Settings -> Change Instance type” menu item. In the resulting dialog, select the new server size and click “Apply”. From the “Actions” drop-down menu, select the “Instance State -> Start” menu item. The server should restart using the new type.